Brian Hemminger with MMAMania.com, caught up with Rampage Jackson. Thanks goes out to them for this amazing interview. ENJOY! Brian Hemminger (MMAmania.com): You’ve spoken very highly of Bjorn Rebney lately, saying he “gets it.” What is it about Rebney and the way he runs his company that you respect so much? 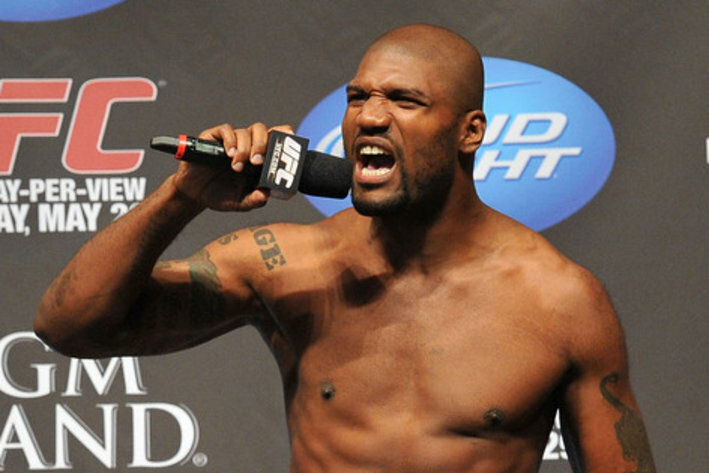 Quinton Jackson: Well one thing is he respects the fighter. From my experience, I don’t know how he treats other fighters, I just know how he treats me and my team, but this is just from my own experience so you know this, he respects me. We sat down and talked things out. small things like that which make you want to perform that much more for a promoter. When we sat down and talked, we were bouncing ideas off each other as equals. It wasn’t just, “Oh, you’re gonna fight this guy and then you’ll fight this guy if you win.” I liked that with him and I really respect that and how he treats the profession. Brian Hemminger (MMAmania.com): Fighters have had issues in the past with how UFC treats likeness rights and things like that. Do you have a different deal with Bellator and Viacom where you have more control? Quinton Jackson: Yeah, I don’t know what everyone else has got but I have my own thing set up with my manger and we’re really happy with what we’ve got going.